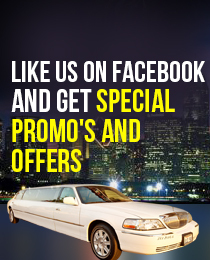 ULC Limos offers first class Los Angeles party bus rentals. When customers come to our website, they can look around and view all the party buses ULC has to offer in Los Angeles, Ca. We have a wide variety of Los angles party bus rentals ranging from 16 passengers all the way up to 50 passengers. Our luxury party buses come equipped with amazing sound systems, dance poles, and disco lighting and lasers just to name a few. Our LA party bus rentals are different than what the competition has to offer, as they are new and in outstanding shape. You can host a corporate party, wedding, wine tour, or even a prom school dance in one of our party buses rentals. Request an instant quote online for any of our party buses that service Los Angeles below. "Thank you so much for Sunday evening, all of our friends had a wonderful time. I will recommend you to many people we know in the area." And, many more personal events happening in your life. Which Party Bus Rental in Los Angeles is is Right For You? We offer convenient limo service 24 hours per day to ensure you can get to your destination despite of the time of day or night. At ULC Limos we are always to help give you a lift in a luxury party bus or limo to and from your doorstep giving you a hassle-free limo service. Just give us a call and we will send a vehicle of your choice to get you to your destination on time. While performing our duty we never neglect your safety and our drivers are certified the CHP . United Limousine and Charter has a responsible management staff making sure its customers are dropped safely at their destinations.